You know that Leonard Cohen song, “Bird on a Wire”? If you don’t, here’s Mr. Cohen performing it. If the author’s singing isn’t much to your liking (no judgment here; that’s why they make chocolate, strawberry, and vanilla), you could check out any of the zillion cover versions. I’m partial to these two by Ms. Warnes and Mr. Nelson, respectively. I like that tension, the fact that while both are right from a certain point of view (phrasing courtesy of Kenobi, Obi-Wan), they’re more right in their contradictory adjacency. Cutting to the chase: I recently turned 53. I’m a husband/dad/friend. I’m a professional writer/editor, and I make a good living doing work I mostly enjoy. At the intersection of the things that matter most in life — connecting with people (love, family, friends), enjoying good health, being able to not just participate, but to really contribute and feel valued in a range of settings, feeling mostly centered and mostly good, most of the time — my life is an embarrassment of riches. I’ve got my troubles too, sure, but that’s true for everybody. Who am I to have all the good things I have in my life? Seriously, I feel like I ought to listen to that beggar, and quit asking for so much. But I’m not going to do that. Instead, I’m going to listen to the woman in the darkened door. It’s not fair, but there it is. I want more. Specifically, I am leveling-up my creativity and my art. I have spent quite a while letting that dimension of my life do its thing on autopilot, but now it’s wide awake. And it is hungry. It wants my significant attention, and it’s going to get it. Been a while. I’ve had some modest successes and plenty of failures, and I’m going to talk about them here. I’ve been stuck for a while, but now I’m not. Some of the trouble has been just the daily grind of dinner to cook and dishes to wash and so on. Some of it is that it’s a “busman’s holiday” (that’s an old British expression meaning that the thing you do all day to earn money might look a little less shiny as a way to spend your free time, so maybe a staycation looks pretty good to a bus driver ). There’s truth in that. It’s tough to find energy to do my own work after a day of writing and editing in an office environment. And most days I’d rather engage with the people in my inner circle, or — you know, man — drink a craft beer or three and watch Game of Thrones or listen to some Jason Isbell songs or play guitar just for fun. But there’s a difference between what you want in the moment and what you really want in the bigger picture. And in the bigger picture, what I want is to kick my creative self back into gear. I want that part of my life to have its own place, to not just hang out in the margins. And this blog is that place. 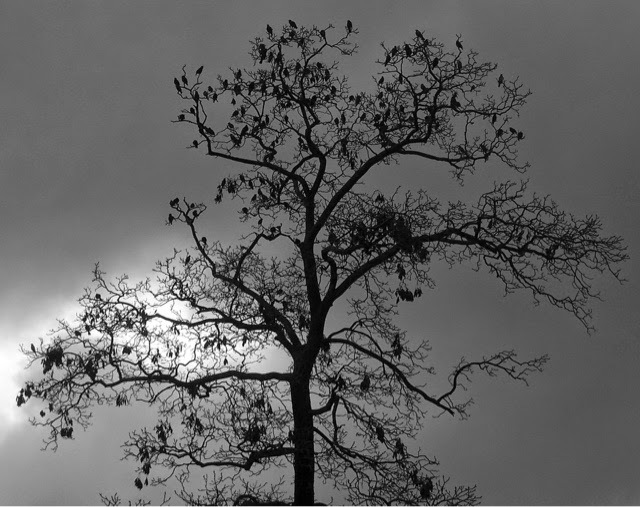 A dawn in a tree of birds. Here we are, then, in a story that’s still unfolding. 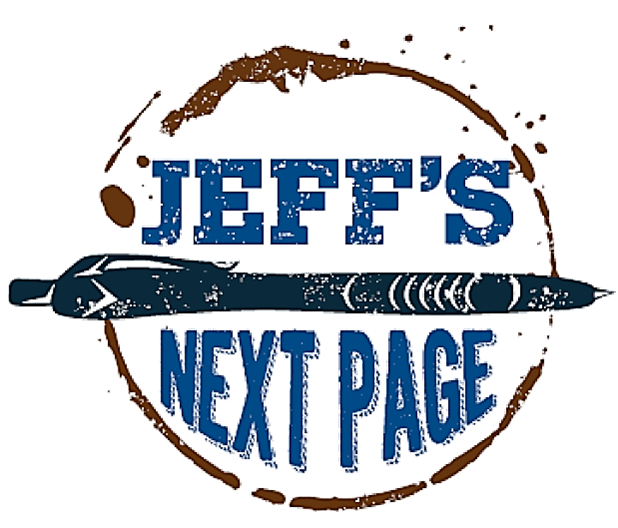 Welcome to Jeff’s Next Page. Let’s see what happens here.